We were approached by the client directly through a recommendation. 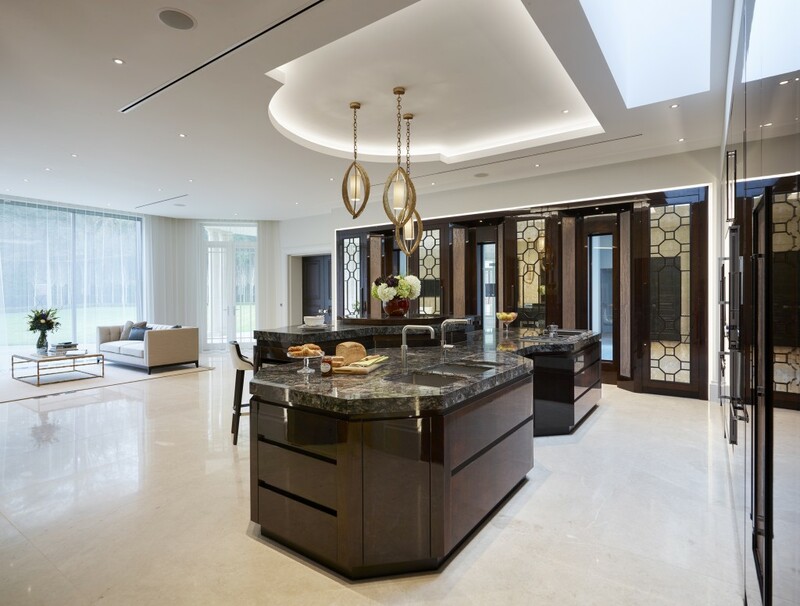 Building a new property which was to be their dream home, the kitchen area needed to be the focal point. This was the area the family would spend most of their time together in so it needed to work on a number of different levels. The client had visited many kitchen companies but was not getting excited by anything she was shown. We were given a large empty space which can be quite daunting but once you begin the process of design the answers begin to appear. We initially produced some concept sketches and presented these, it was then she felt she had finally found a company she could work with and help deliver this important investment into her new home. 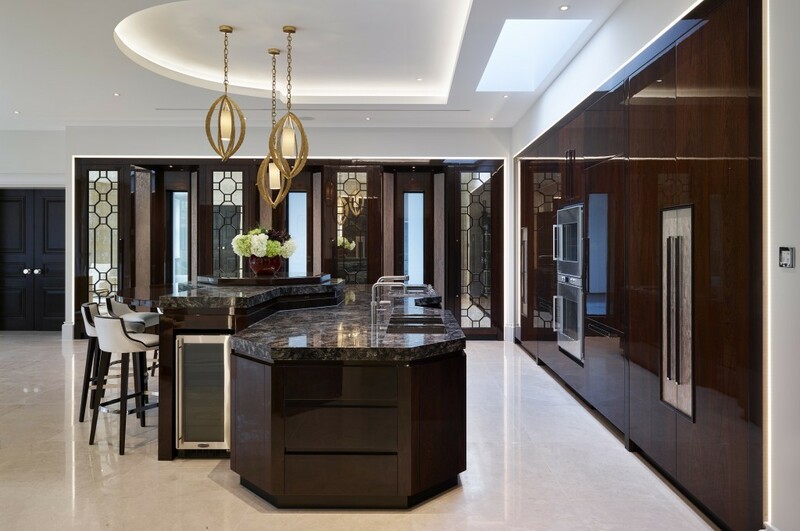 The client is a keen cook and often entertains for large parties so many practical considerations were thought through to provide a solution for storage, preparation and cooking. Communication in this space whilst preparing food was a key consideration as the client did not want to feel she was on her own in this space. 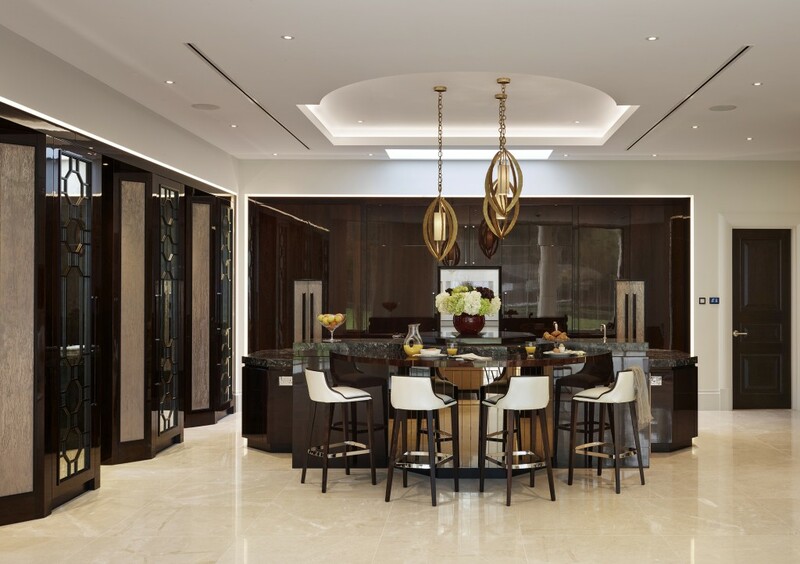 Once the practicalities of design were established then the aesthetics of the design and finishes were carefully considered through sampling different veneers and stains and the level of lacquer. Mood boards were considered alongside our finishes to establish a continuity within the space. Finally we worked with mahogany which we stained and then applied high gloss polyester lacquer to the main fronts of all of the furniture. 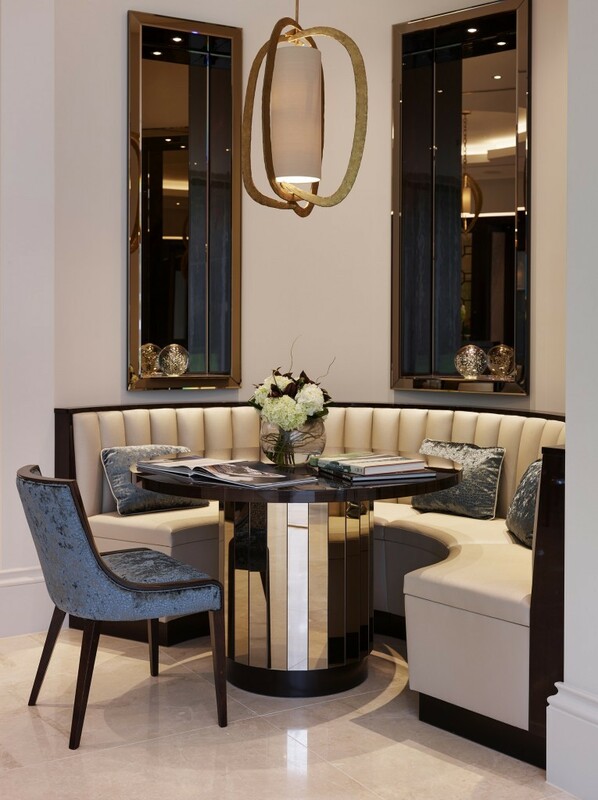 We introduced a textured liquid metal as a feature to the main doors and some side panels this was complimented with antique mirror panels set behind lacquered lattice panels. 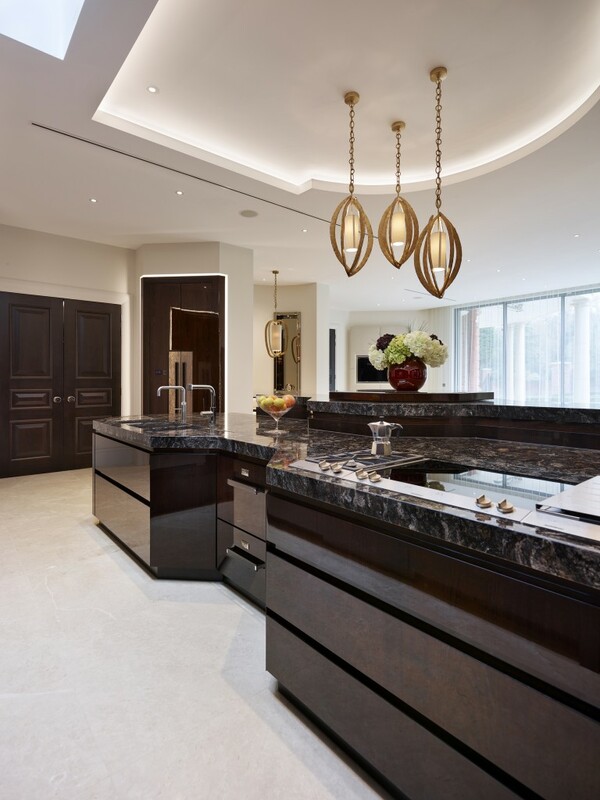 The worktops are a significant visual part of the kitchen. We visited specialist stone suppliers and chose Golden eclipse for its beautiful pattern and grain. 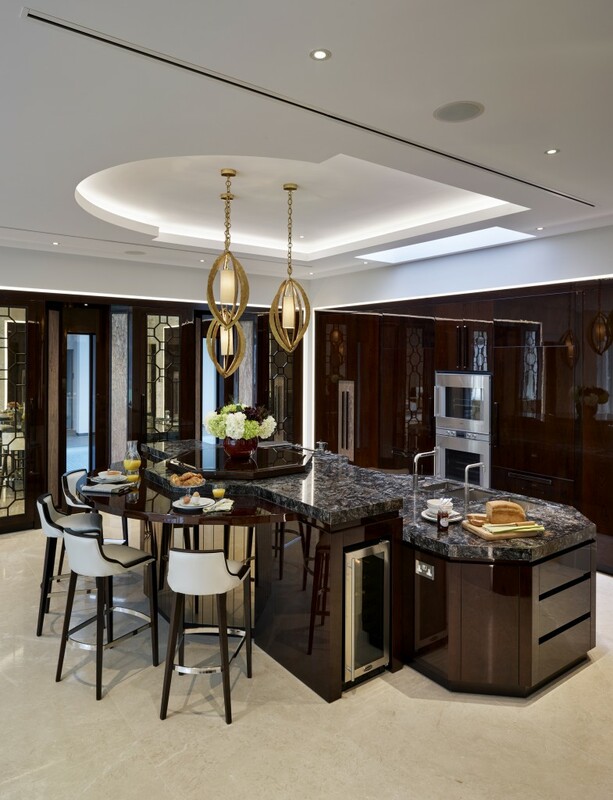 There were many innovations in this kitchen not least the lazy susan centrepiece to the island, the secret knife drawer and the perimeter lighting to all of the furniture to name but a few.